What is the Difference Between Raster and Vector Artwork Files? What is the Difference in Raster and Vector Artwork for Printing Custom Stickers? 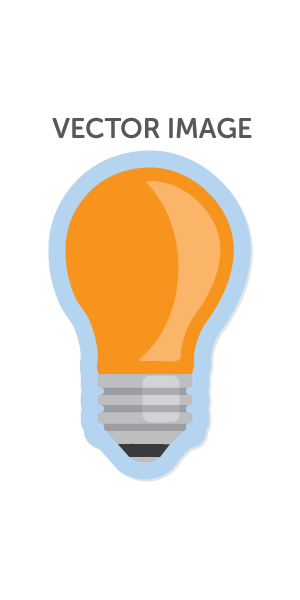 We want every sticker to look perfect, and to do that we ask for artwork that is either a high resolution raster image or a vector image. If you aren’t a graphic designer, we understand that it can all be a bit confusing. So let’s take a look at what these types of art files are, and why we look for these when printing custom stickers or labels for you. Raster files are formatted images or graphics made up of individually colored dots, called pixels. 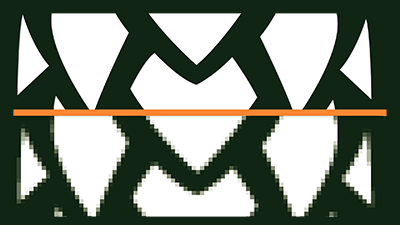 These pixels are aligned in a grid, and together they make the image you see. Photos taken on your phone or a digital camera are raster images, and if you zoom in too closely, you can even see the pixels as the image becomes grainy. 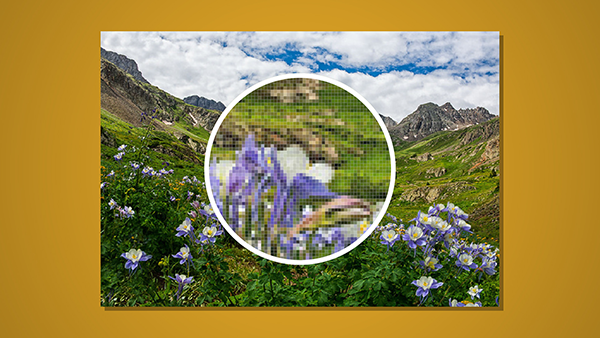 With raster graphics, the number of pixels or dots per inch has a direct effect on the resolution of your image, and how much it can be resized before becoming distorted. The resolution of this type of image is measured in the number of pixels per square inch of your design or photo, which is also known as dots per inch, or dpi. When we print custom stickers from raster art files, we need the resolution, or dots per inch, to be formatted for a print quality, which is 300 dpi, at the desired size of your finished sticker. A higher resolution raster image will keep its crisp appearance if your artwork has to be resized for printing your custom stickers or labels. There are a couple of ways to tell if your artwork or graphic is raster based or not. The first way is to zoom in or enlarge your image significantly. If the edges look rough, or the image appears grainy, then it is a raster based image. You can also look to the file extensions for some clues. Commonly seen file extensions on raster based artwork are; JPEG, PSD, PNG, or TIFF, and these usually indicate if your file is a raster image or not. If you know you will be using your raster artwork for print, either in stickers, or other marketing materials for your brand, you’ll want to begin all designing in a print quality resolution, or 300 dpi. It’s always easiest to bring a raster based image down in size, or dots per inch, than it is to make them a larger size or higher resolution, without distorting your designs. Also, designing raster based artwork in CMYK process color will work best to get you the best color matching results in the printing process. 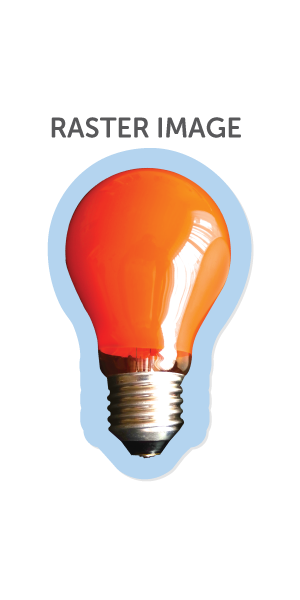 If you aren't quite sure what CMYK process color means, that's OK, we explain what this is on our page Spot Color vs Full Color Printing. Compared to raster images, vector artwork is designed to be infinitely scalable, and the edges of these images will stay smooth and true to the design whether they are sized down or up. This is because vector artwork is designed in a much more formulaic method, and works with lines and curves which are set to designated paths within an image. The set points of the lines and curves along each designated path create the design. Because the elements of a vector image are set to designated paths, they can also be rescaled to any size without distorting the design. This example shows a vector image at the top, and a raster image on the bottom, both zoomed in very closely. The vector image will not look grainy or pixelated when zoomed in. The adaptability of vector graphics makes this type of file format ideal for logos and marketing materials, that are likely to be used for both digital and print purposes. This also means a single vector image file can be used for a business card, the logo on your website, or having a sign printed for your business. Although, because vector images are designed differently than raster images, they also must be created on special art softwares, such as Adobe Illustrator. This also means these files need the special software to be opened. So if your graphic designer has sent some of these over, and you can't open them, that is OK. Our teams are prepared to work with this type of art file, to get you great custom stickers. If you are trying to figure if your artwork is a vector based file, there are a couple of things you can do. The first thing to look at is if you enlarge your image significantly, and the edges stay smooth, and any text in the design keeps its crisp lines and spacing, chances are your artwork is vector based. You can also look at the file extensions, and if you see EPS, Ai, or SVG, then your artwork is very likely a vector based image. 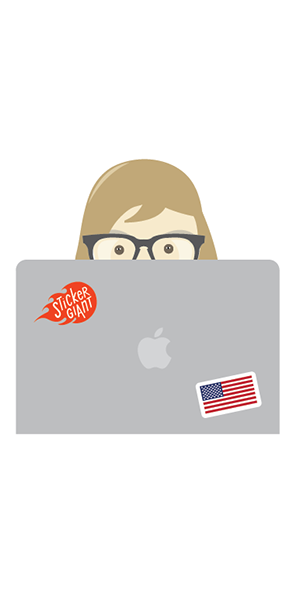 When you send us your raster and vector artwork for custom stickers or labels, our Art Team will get to work setting up a proof so you can see how your designs will look for your new stickers. This way you can know what the final size, shape, and look of your stickers or labels will be going into the production process. If you don’t have vectorized artwork, that is just fine. Our Art Team can try and clean your raster image up, and transform it into a vector image for you if possible. We also offer free Artwork setup, to help you get your designs turned into great custom stickers or labels.